Today’s human resources professionals are adopting many different roles as the economy continuously evolves into a digital global marketplace and new generations enter the workforce. 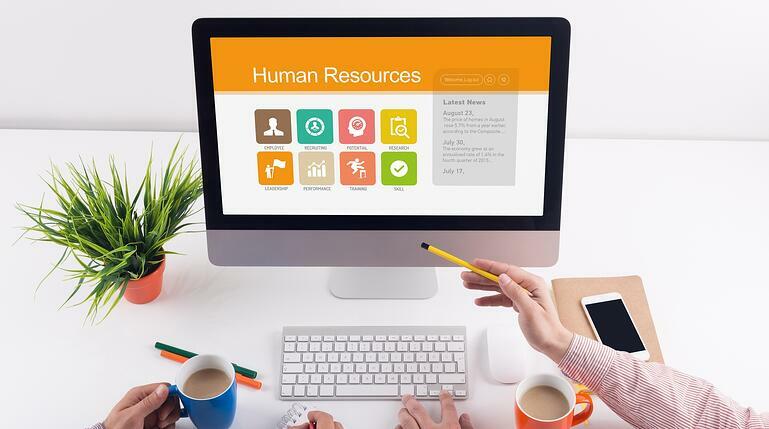 For these reasons, traditional skills sets once required for HR professionals are transforming to properly support their company and the job seekers they are recruiting. HR individuals are expected to be excellent communicators and forward-thinking in their comprehensive roles. Daily challenges include onboarding employees located both on and off-site, enforcing regulations and ensuring compliance associated with digital initiatives, and branding employee culture. These three characteristics are critical for HR professionals to embody. Fundamental Soft Skills: Paramount to their success, these interpersonal skills must be regarded more than ever when understanding a company’s culture because these professionals are now communicating with multiple levels of staff who could be logistically spread across the globe. Organizational Skills. These are mandatory to effectively drive multiple HR initiatives while aligning employees and proactively managing programs. Without organization, miscommunication will result and produce inefficiency. Morals. Commanding high ethical standards is essential due to the sensitive nature of situations handled. They must inspire trust and hold a confident relationship with everyone in the organization in order for classified information to be divulged. Their high integrity is projected through positive and healthy employee relations. Problem Solver. Having the ability to listen and take deep interest is key in enabling solutions. Millennials and Generation Z especially thrive when individually developing programs and leading them to success. Comprehensive Knowledge of Strategy: HR professionals are now being looked upon as strategic partners who fully understand the company’s mission and goals to differentiate their company from the competition. Encompassed in this are three strategic behaviors. Innovative. Outstanding HR practitioners must fully understand the company’s mission and goals to know what drives success and revenue. Through this knowledge they design creative systems to stand out from the competition. They align their work, projects, and goals with every need of the business. Program Implementation Experience. In order for a new program to be successfully implemented HR professionals must manage several tasks between different departments. Their acute attention to detail and strategic planning methodologies are essential every step of the way. Change Management. Highly effective HR professionals who are successful at change management are respected and trusted by the people within the company. Their ability to garner the support from the entire team heavily impacts success. Whether it be a simple change to the way customer complaints are handled or a major change to organizational policy or strategy, it is essential there is minimal disruption and projects succeed rather than stall and fail. Subject Matter Expertise in HR Systems: Lastly, HR professionals are required to have experience in human resource information systems (HRIS) to effectively analyze and manage data from daily HR functions. The main types of HR software can be divided into these categories. Core HR. Focuses on the three fundamental functions of human resources management: payroll, benefits administration, and personnel tracking. Strategic HR. These applications combine applicant tracking and recruiting, performance review and learning management functionality. Workforce Administration HR. These tools schedule and monitor the workforce for organizations where employees are completing shift work. The bottom-line is HR professionals today must be agile and utilize their FULL skill-sets because the business world is constantly changing and their exceptional soft skills is the baseline for achieving this success. They must be passionate to understand the limitless capabilities of a diverse workforce and innovate new ways to recruit global talent. HR professionals in today’s world are knowledge seekers about strategic business operations. The more entrenched in company initiatives, the more critical they become to developing an efficient workforce, higher employee retention rates, and a positive company culture, which all lead to attracting top talent and producing the best product/services. Searching for a new HR position? Sparks Group is a top human resources staffing agency. Visit our job board to learn about our current open temporary, contract to hire, and direct hire opportunities or contact Sparks Group to speak with a recruiter.